If you’re looking for the best spa, Phuket’s Novotel is a first-class choice. 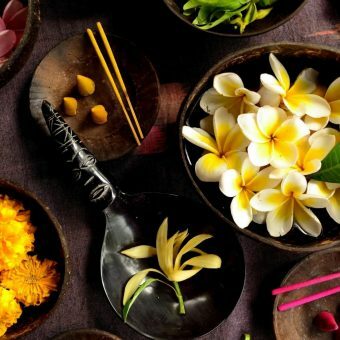 No visit to the tropical paradise of Phuket is complete without experiencing the myriad treatments on offer at our very own In Balance Spa, the best spa in Phuket. Our highly trained team of massage therapists can set your mind and body at ease through a selection of highly refined traditional methods that soothe the senses and put you well on your way to spiritual wellness. 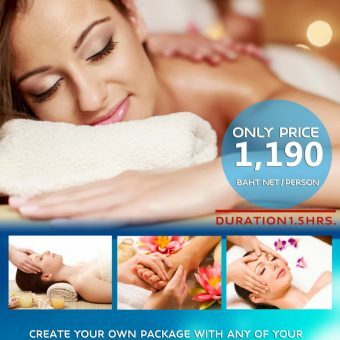 What more could you ask for from a premium spa in Patong? Of course, our superior service doesn’t end there. Special kids’ treatments are also available at our complete luxury spa in Phuket. Enjoy singles or couples massages, ranging from soft rubs to hard scrubs, cleansing your pores and reawakening your senses. These techniques have been passed down for generations, and enhanced to perfection by the delicate touch of our staff at this lovely spa in Patong. In Balance Spa by Novotel Phuket Vintage Park has received the esteemed award as the winner of “Innovative Spa Treatment” in Thailand Spa & Well-being Awards 2014 (Flower Power), 2015 (Rojana & Sangthong) and 2018 (The Pearl Miracle). In addition, our best Spa has been honored with an Outstanding Awards for “Best Hotel & Resort Spa” in Southern Thailand at Thailand Tourism Awards 2015. A thousand year ago lived a prince and princess who found their love by miracle. Princess Rojana was an adorable and beautiful person. In her culture, she has to throw up her traditional garland to the man she loves, and get married with him immediately. Elegants princes were standing up in front of her, waiting to be chosen. Unexpected, Princess looked at one prince who was not attractive and looked dirty but she decided to throw him her traditional garland surprised, he took it and they spent the rest of their live happy together. Flowers have special meaning for Thai people. We use them as a symbol for many opportunities in life. We believe that our character is like a flower.The beauty of the flower is a representation of your spirit and mind. The color, the fragrance and the beauty of each flower is as unique as each person’s personality. We believe that flower promote our live force. If you giving us your birth date. Our therapist will find your flower match. Relax and clam your mind with our triple flower treatment. 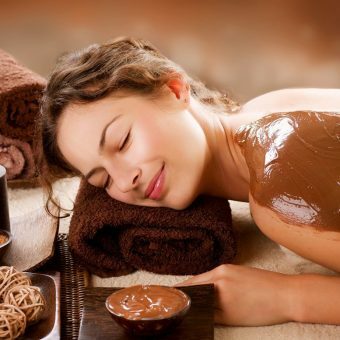 Calming experience massage which is a fovourite of many guests to evacuate stress and soften the skin for 55 minutes. Have your kids discover the joy and relaxed feeling of a professional massage within the same treatment room for 30 minutes.